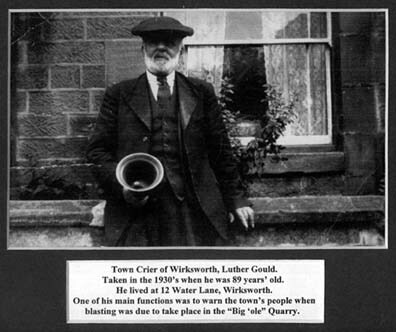 "Town Crier of Wirksworth, Luther Gould. Taken in the 1930's when he was 89 years old. He lived at 12 Water Lane, Wirksworth. blasting was due to take place in the "Big 'ole" Quarry".